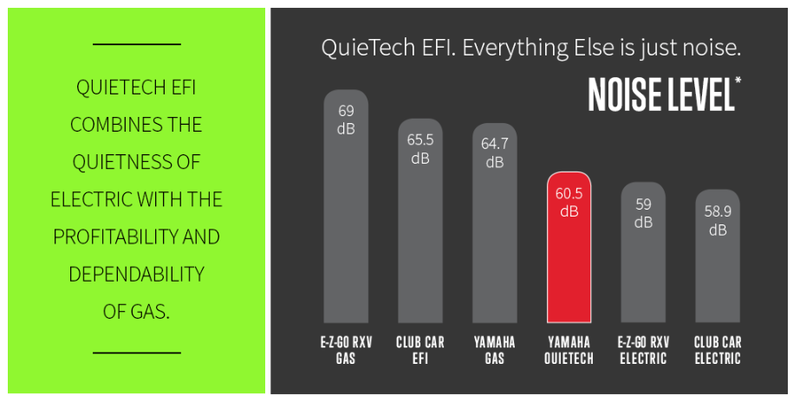 The new QuieTech EFI boasts the lowest decibel output of any gas car and features the industry’s first-ever Independent Rear Suspension on a golf car. This unprecedented combination ensures your players experience a luxuriously quiet ride. 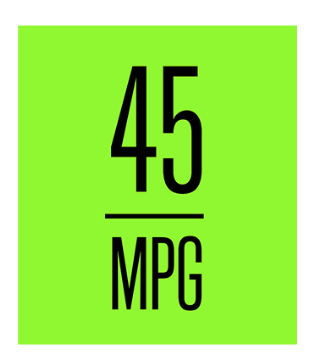 At 45 MPG and less hydrocarbon emissions than the competition, we think you’ll agree that choosing QuieTech EFI is the most sound business decision you could make for your golf course. The easy choice when luxury, performance and value matter! (1) Decibel reading from 25 feet at constant speed on a paved cart path for 2016 fleet models; (2) Alpine Hearing Protection, 2016; (3) “Listen to this” by Richard Wolkomir, 1997; (4) Outdoor Noise and the Metropolitan Environment, M.C. Branch et al., Department of City Planning, City of Los Angeles, 1970; (5) World Health Organization, Data and Statistics, 2015; (6) Hearing Health & Technology Matters, LLC. 2016. * Independent laboratory testing in a fleet environment by Transportation Research Center, Inc. 2015, on model year 2016 cars.